- Ducted air conditioning in bedrooms and common areas. 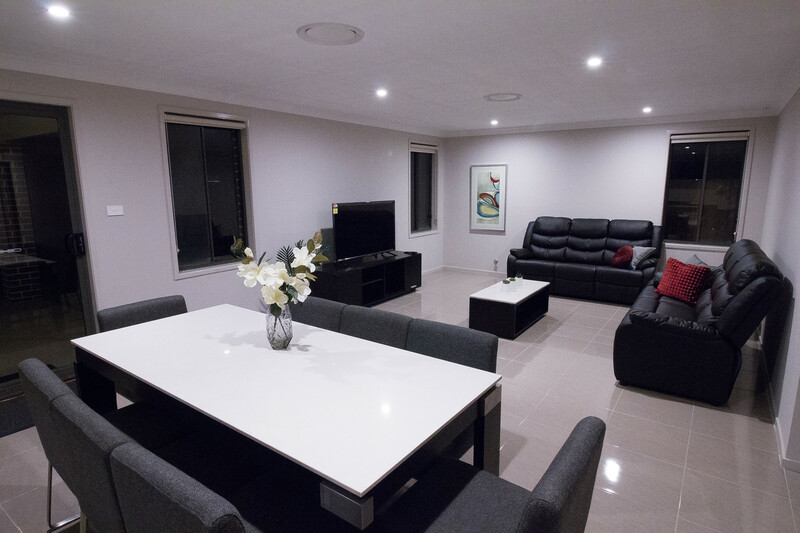 There are 2 large lounge/living rooms furnished with modern luxury lounges and large LED TV’s and chrome cast. 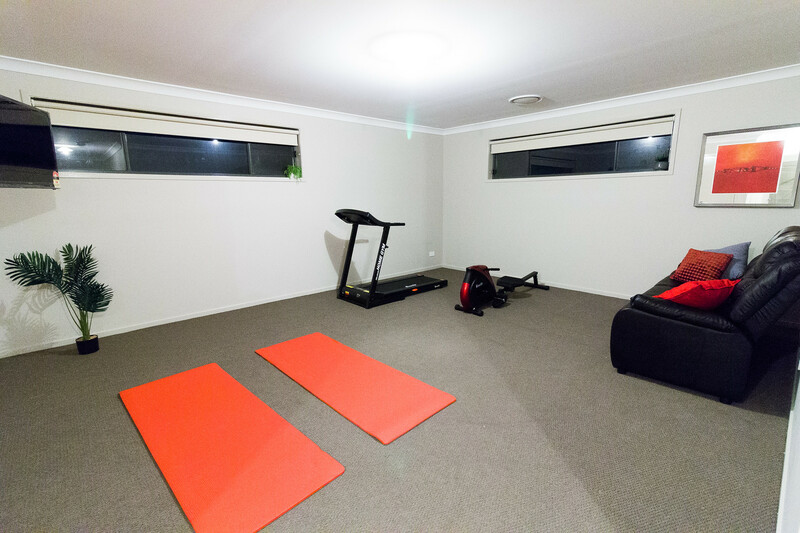 The living room upstairs also has a little home gym consisting of a treadmill and rowing machine. A perfect space created to do your workout whilst watching your favorite Netflix show. 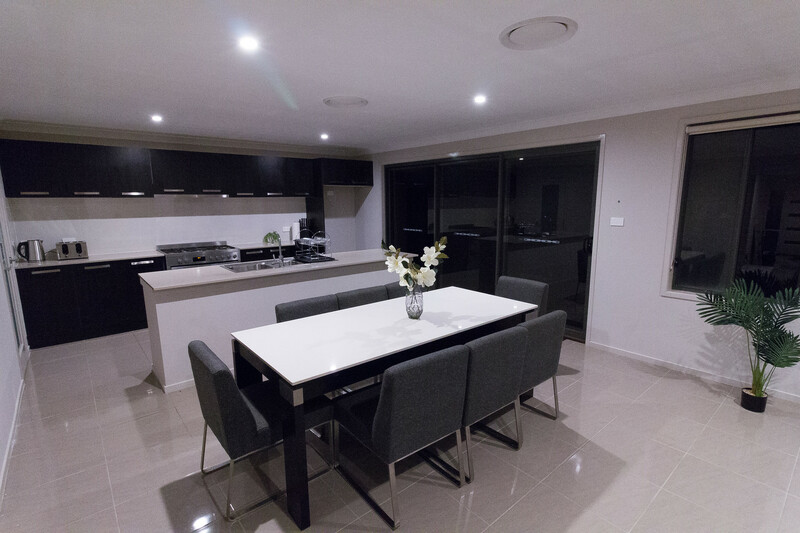 The Kitchen is fully equipped with a gorgeous 5 burner gas cooktop and 900mm oven. There are Stainless steel appliances throughout including 2 large stainless steel fridges. You won’t have to worry about pantry space as there is a great walk-in pantry to be shared. The laundry contains a 8.5kg washing machine as well as a dryer. On those beautiful aussie sunny days, we also have 2 large clothesline in the backyard. There is a good sized alfresco with a stylish outdoor setting to enjoy with your fellow housemates. 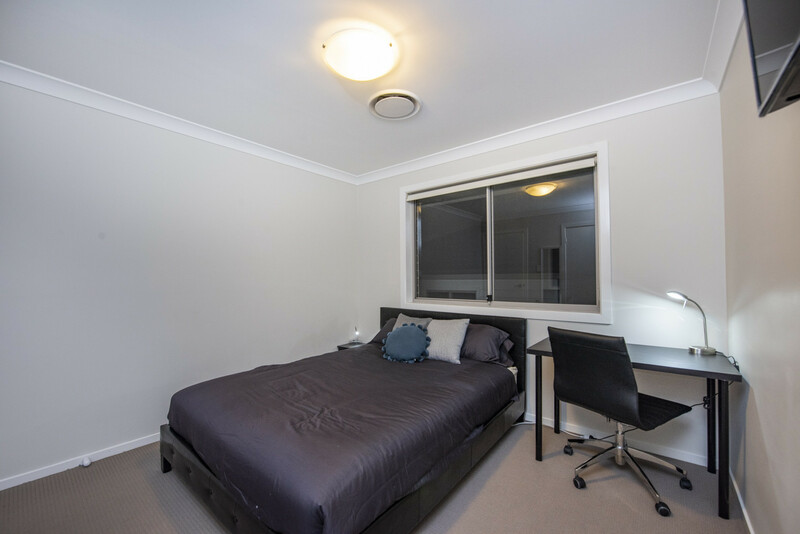 This home is about 3min walk to buses and a 9min approx walk to the future Tallawong Train station. 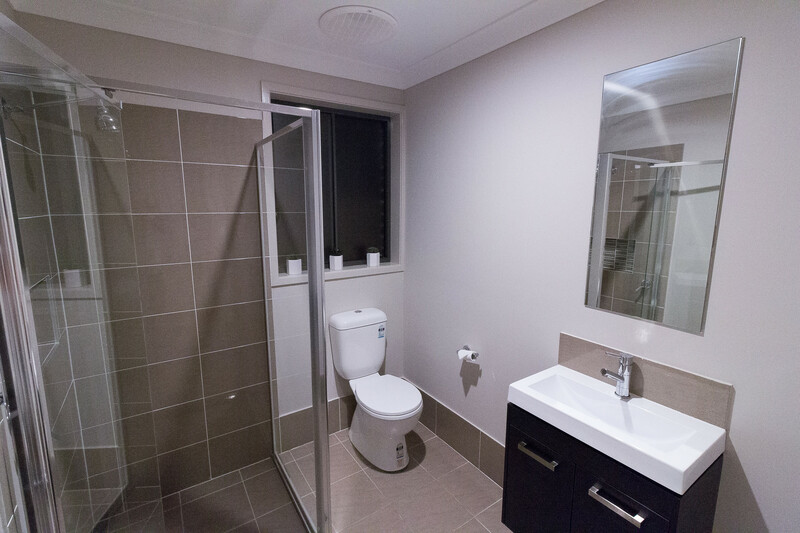 It is only a short 5min drive to the Ponds shopping centre and Rouse Hill Town Centre. This is our place but I’m currently not staying here. I’m looking for lovely considerate tidy housemates who wish to share in this beautiful home. Would love to chat with you if you're interested or have any questions. Thanks for looking.